Excess is so 1980s. Today, the most forward-thinking folks are all about eliminating excess and cutting down on the waste stream, in turn strengthening community, bolstering local food systems, building social safety nets and making some friends along the way. That's why CropMobster, the community food exchange dreamed up by Nick Papadopoulos, the general manager of Bloomfield Farms in Petaluma, has leapt to the head of the pack. The story began with Papadopoulos searching for a way to distribute surplus produce left over after a farmers market. He posted a message on the Bloomfield Farms Facebook page offering the leftovers at a reduced price, but he didn't stop there. 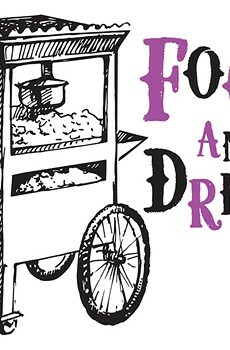 With help from his wife, event planner Jess Flood, along with Joanna and Gary Cedar of Press Tree, he established CropMobster, a hub where producers, farmers and regular folks can advertise their surplus in a way that's easy, manageable and gets the food to someone who will use it. As Papadopoulos told the Bohemian last October, "We wanted to address food waste and loss, and help people who are hungry or just priced out of the good stuff. But we also wanted to help people in the cottage food industry and the gleaning industry, and build trading relationships." Once a producer—farm, ranch, grocer or grower—posts an alert regarding surplus goods, it's automatically spread to all members of the CropMobster community. What's truly innovative about the project is the way the founders use social media like Twitter, Facebook, email and website alerts, plus a thriving online community, to get the word out, utilizing the idea of "going viral" for the good of the community and not just to spread the word about the latest crazy cat playing piano upside down. With coverage on the Huffington Post, Fast Company, PBS and in Time magazine, CropMobster has gone national, which is a good thing, since the model they've created is something that should be realized on a global level. In January, they were added to Food Tank's "Organizations to Watch" list, and the next step has become helping other communities develop their own versions of CropMobster. As the website states, "What started on one farm just a few months back is turning into a movement to transform food waste and surplus into value and community." How's that for one to grow on? cropmobster.com.—L.C. Imagine a TV show devoted to farming. Hell, imagine a whole network devoted to how food actually gets to the kitchen in the first place. In a world in which chefs are hailed as cultural icons, John McReynolds insists that farmers ought to be applauded as the real all-stars. As culinary director at Stone Edge Farm in Sonoma, he has authored a new innovative cookbook that offers stunning recipes for mouth-watering dishes like celery root schnitzel, orange and beet salad with black olives, and feta and cabernet-braised beef short ribs with green onion mashed potatoes. His dishes look gorgeous and taste scrumptious, and long before it was cool to shop at farmers markets and roadside stands, McReynolds beat a path to organic produce and foraged for herbs, flowers, nuts and leaves in meadows and vineyards. Like the great jazz musicians, McReynolds riffs on the familiar. 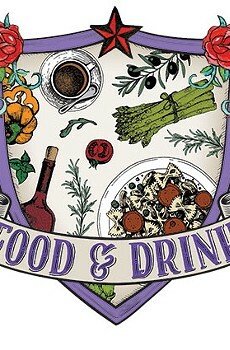 Not a slave to menus or a prisoner of classic recipes, he shares kitchen secrets and demystifies the art of gastronomy. In The Stone Edge Farm Cookbook, McReynolds shows foodies that he's still on the cutting edge of contemporary culinary art.—J.R. Just when you've figured out that organically made wine is not the same as wine made with organically grown grapes, along comes certified biodynamic, certified fish-friendly and sustainably certified by this, that or the other. Many of these designations are backed up by organizations that employ independent verification; others, not so much. And the dregs of the barrel simply claim they're "sustainable because we said so." Recognizing that a future crowded with different standards and claims can only confuse conscientious wine shoppers, the Sonoma County Winegrape Commission announced in January a plan to require all Sonoma County growers to conform to a single sustainable standard by 2019. Instigated by a board member and pursued by SCW president Karissa Kruse, the five-year plan would make Sonoma County the first 100 percent sustainable county in the nation. "Greenwashing" is not part of the plan; independent verification will be implemented on a multi-point list of environmental, energy and social and economic targets. Unlike in organic and biodynamic farming programs, some chemicals would likely be allowed. However, sustainable standards also address erosion issues, energy conservation and the welfare of farmworkers. But for some, it just might make Sonoma County wines shine a little bit brighter on the shelf.—J.K. When the hankering strikes for a two-fisted meal, head down to Davey Jones Deli in Sausalito. Inside a bait shop just off the 101, this eatery has all kinds of futuristic combinations cloaked in spinach tortillas or on a choice of breads and rolls. The bestselling vegan wrap contains hummus, raw almonds, avocado, quinoa tabouleh, gomazio and a garden patch of fresh herbs, veggies and sprouts. Punjabi pulled pork adds gravitational heft on the porkslaw, a curried mouthful-of-Iowa-meets-New-Delhi. The house-made sauces, sprinkles and spreads are what make Davey Jones Deli ahead of its time. The likes of almond pesto, sesame salt, pumpkin butter, maple chipotle butternut spread, roast garlic with red pepper and cranberry Dijon are just a sampling of the trippy flavors that complement the meat and veggie fillings. Garlic sesame kale, roasted beets, radishes, fresh pineapple and other crazy additions take the term "deli" to new heights. The waterfront is in back of the shop, making for a great picnic spot to wolf down one of these massive meals in a sandwich. 1 Gate 6 Road, Sausalito. 415.331.2282.—B.J. Best Use of Biogas —for Beer! Bear Republic Brewing Company is a business on the forefront of sustainability. 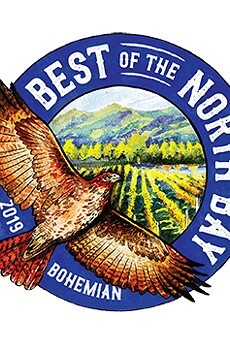 The family-owned company has held environmental stewardship as a cornerstone of their business, and earlier this year became the first brewery in California to install the EcoVolt wastewater system. In a state with drought woes, beer makers feel the pinch all the more—it takes between three and 10 units of water to make one unit of beer—so Bear Republic stepped up its game with the installation of the EcoVolt system in its Cloverdale brewery. It's a unique take on a biogas system—the process uses bioelectrical microbe organisms to convert the carbon elements in wastewater into electricity, simultaneously cleaning water for reuse and creating energy to offset production costs. Water is treated and reused on-site, easing the impact on sewage and utilities for the city while cutting electricity and water costs for the brewery. —C.S. Tom Boyd and his wife, Deanna Dennard, together with longtime research and development associate Jeffrey Edelheit, have become modern-day food alchemists. 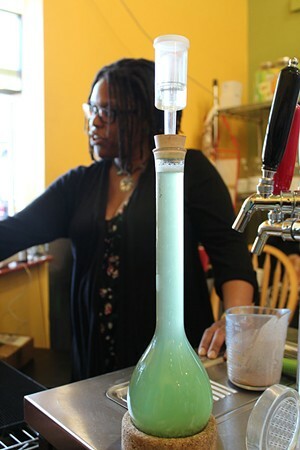 Specializing in eccentric organic elixirs inspired by nature's own engineering, their biomimetics laboratory, of sorts, the Kefiry, sits in a cozy shopping plaza just south of downtown Sebastopol. It is part testing room and part tasting room, featuring 12 elaborately infused kefir flavors. "We are able to pull the most subtle aromatics out of the herbs without destroying them with heat," explains Boyd. The result is a bubbly, soda-like drink—minus the unpronounceable preservatives and gobs of sugar. "These are the most important herbal formulas from the past," he says, pulling out a long glass flute filled with ruby red liquid and white sediment. By angling it against the light, the tiny crystalline structures become visible. "We are producing this for people to increase their wellness and happiness." The crystals are probiotic kefir "grains," which are actually strains of bacteria and yeast, and have been used to ferment fruits and herbs for centuries. This drink is Flower Power, a hibiscus and cinnamon blend that smells like sweet summer tea. And because they're made with water kefir instead of milk kefir, as found in yogurts, the beverages are lactose-free. The result is a nonalcoholic, probiotic and lacto-fermented drink that fills the belly with all the good bacteria needed for healthy digestion. 972 Gravenstein Hwy. S. #120, Sebastopol. thekefiry.com.—J.O. If you want to make the attendant at a recycling center cross with you, bring in your empty wine bottles. It's not that in the year 2014 we don't possess the technology the recycle them, and it's not that recycling an ex-vessel of Pinot Gris saves any fewer resources than an empty IPA bomber. It's just that people don't get money for turning in empty bottles of Pinot Gris like they do from beer and soda bottles—gotta keep 'em separated! Better yet, skip the heavy glass. Sure, we've been hearing about the future of alternative wine packaging for years now, but consumers haven't taken to bag-in-a-box wine with gusto. So one winery had a lightbulb moment—an energy-saving, LED lightbulb, of course—and put the bag in a bottle. Truett-Hurst's 2012 Mendocino Chardonnay ($13.99) and 2012 Paso Robles Red Blend ($14.99) were released last November in lightweight, plastic-lined cardboard "bottles." Truett-Hurst shipped 250,000 bottles in the first 60 days of sales, representing a saved weight of 280,000 pounds over the equivalent in glass bottles. By mid-December, they'd loaded up 20 trucks at seven tons per truck, and estimate they saved 20,000 pounds of carbon emissions. Designer Kevin Shaw, who created sister winery VML's witchy-cool biodynamic-inspired labels, worked with the U.K.'s Green Bottle to create the package. 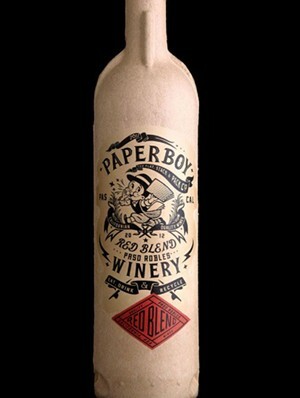 After the wine is drunk, "PaperBoy," as it's known, can be disassembled into recyclable components. Sadly, it cannot be reused as a shabby-chic wine bottle candle holder.—J.K. Yanni's Sausage Grill is exactly what you want it to be: a small, mom-and-pop shop in an out-of-the-way location that does one thing really well—sausage. John Vrattos and his wife, Francesca, run the shop on Penngrove's main drag from a 270-square-foot storefront. It's hard not to be charmed by the couple. After he lost his job a few years ago, John decided to turn a sausage-making hobby into a business. When Francesca lost her job, too, she joined her husband. Life gave them lemons, but instead of lemonade, they made sausage. John, who is proud of his Greek heritage, works flavors from the old country into his links—try the orange-and-anise-flavored loukaniko, if it's available—but he also tries newfangled creations like the Aloha (teriyaki pork sausage with grilled onions, jack cheese and grilled pineapple) and the popular "jalapeño popper" (pork sausage seasoned with pickled jalapeños). Grab a seat in the cozy dining room or head next door to the Penngrove Pub for the ultimate combination—beer and sausage. 10007 Main St., Penngrove. 707.795.7088.—S.H.